(MENAFN - The Conversation) If you've ever seen someone in a club on MDMA, it may not surprise you to hear it's linked to a heightened ability to share other people's feelings and emotions. Yet in our new study, we found that even when the effects have faded, mild MDMA users showed greater empathy than people who use other common recreational drugs, such as cannabis, cocaine and ketamine. 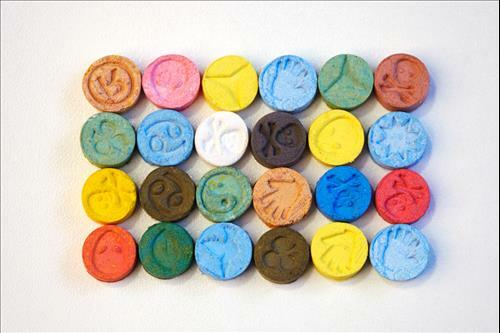 MDMA (also known as 'ecstasy' or 'molly') is used in rave culture because it increases energy and makes people feel euphoric and sociable. Recently, though, researchers have been looking at how the pure form of MDMA can be used in therapy to treat mental health problems such as post-traumatic stress disorder , alcohol addiction and more. Other researchers have been looking at how MDMA can be used to help autistic people by reducing social anxiety and increasing social adaptability. MDMA-assisted psychotherapy also has been suggested to help with addictions, such as alcoholism . Our study involved 67 young people, 25 of whom used MDMA, 19 who used other drugs and 23 who only used alcohol. We assessed empathy by using a questionnaire and a computer task. In the questionnaire, the MDMA users rated higher in empathy and sympathy for others (known as 'emotional empathy') than the other drug users, who mainly used cannabis, cocaine and ketamine. During the computer task, the MDMA users were also better at correctly identifying the emotions of others (known as 'cognitive empathy'). The MDMA users in our study used MDMA about once a month. This level of use is about the same as what could be used for therapy, so looking at this group is more informative than looking at heavy users to figure out the longer term effects of MDMA as a treatment. But the people in this group were recreational users, meaning they bought MDMA off the street. Street MDMA is often contaminated with other substances, so it can vary in purity. In a therapeutic setting, MDMA would be used in its pure form. Alongside psychotherapy, patients would be given a standard dose in a controlled setting and would be closely monitored and guided by a therapist. Nevertheless, this study is important because understanding the longer term effects of using MDMA is pivotal in determining whether it can be used as a viable treatment for mental health disorders.